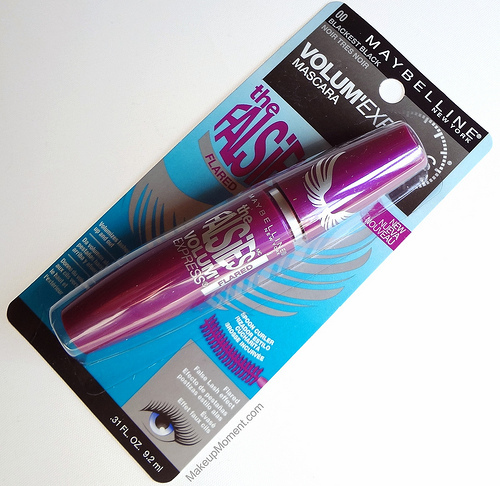 I have always wanted to try Maybelline's Volum' Express The Falsies™ Flared Mascara ($7.39) since it gets a lot of hype in the beauty community. This cult favorite promises to volumize lashes while giving them a fun, flared effect that mimics the look of false lashes. Sounds good, huh? This mascara sounded promising enough, so while at Rite Aid, I finally picked up a tube to try. I was really interested to see what this mascara could do for my lashes. First of all, I just love the look of the tube! The purple color is bright and cheery, and the chunky size adds a real cuteness factor. I like the consistency of the mascara. 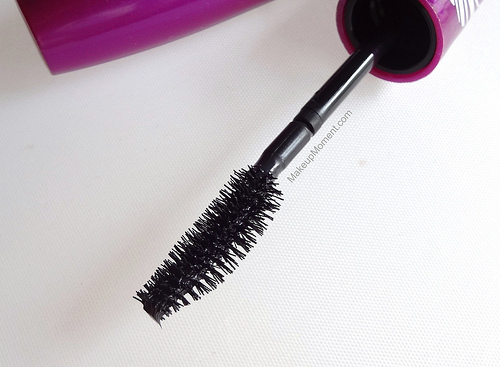 It has a creamy, fluffy texture that feels weightless on the lashes. The formula dries pretty quickly on the lashes so I do have to work fast before it dries because once it does, I find that any additional coats gives my lashes a clumped-up look. This mascara does contain a somewhat heavy scent-sort of smells like honey to me, but it's undetectable once I have applied it to my lashes. The mascara wand is easy to control, and its flexible feature simplifies lifting and separation. I have never used a mascara with a brush shape like this one before so I didn't know what to expect. But for the most part, the dip-curved brush is pretty effective, indeed. My lashes have a nice, natural length to them but they could use a little help in the volume department. Not only that, but without mascara, my lashes are pretty much non-existent and dull-looking. They definitely need some life to them! In my after picture above, you can see that this mascara gives a natural looking, light voluminous oomph and lift to my lashes. I also get a little curling action going on as well, which is a sweet bonus. Two coats of this stuff is usually the max for me. Anything beyond that, and it's clump city. Overall: I am very pleased with the results that I achieve with Maybelline's The Falsies™ mascara. The only con that I can really say about this mascara is that it does tend to flake off after a few hours. By the end of the day, I always find a few flakes under my eye area. Boo! But apart from the flaking, I am impressed at how well this mascara holds up on my lashes throughout wear time. The curl doesn't fall, the length is there, and the volume is rocking. Love it! I definitely will be repurchasing this mascara. 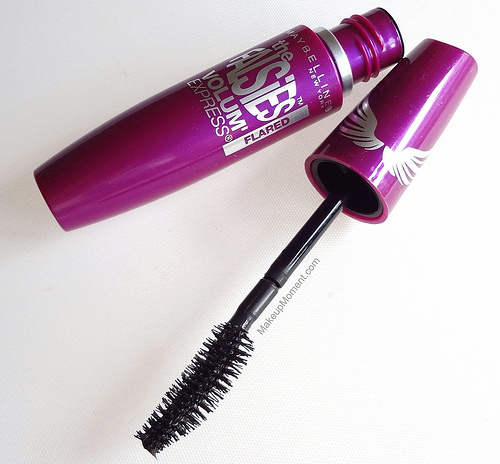 What do you all think of Maybelline's Volum' Express The Falsies™ Mascara? 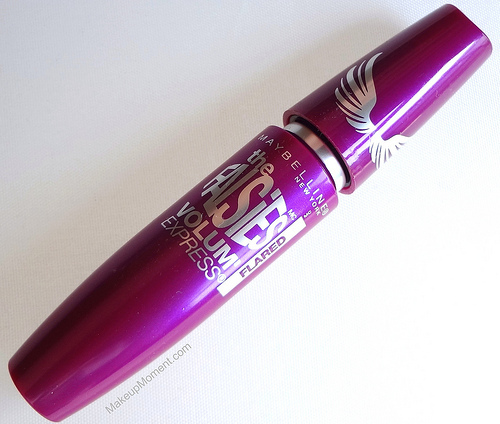 One of my favorite mascaras! This looks really great on your lashes! It's natural but still looks really pretty!